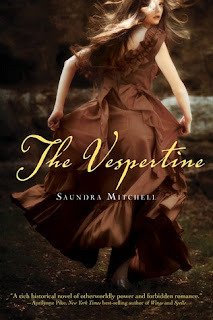 Today, March 7th, The Vespertine by Sandra Mitchell is available for purchase. It’s the summer of 1889, and Amelia van den Broek is new to Baltimore and eager to take in all the pleasures the city has to offer. But her gaiety is interrupted by disturbing, dreamlike visions she has only at sunset—visions that offer glimpses of the future. Soon, friends and strangers alike call on Amelia to hear her prophecies. However, a forbidden romance with Nathaniel, an artist, threatens the new life Amelia is building in Baltimore. This enigmatic young man is keeping secrets of his own—still, Amelia finds herself irrepressibly drawn to him. I WANT IT SO BAD!! :) I'm sooo excited for it!